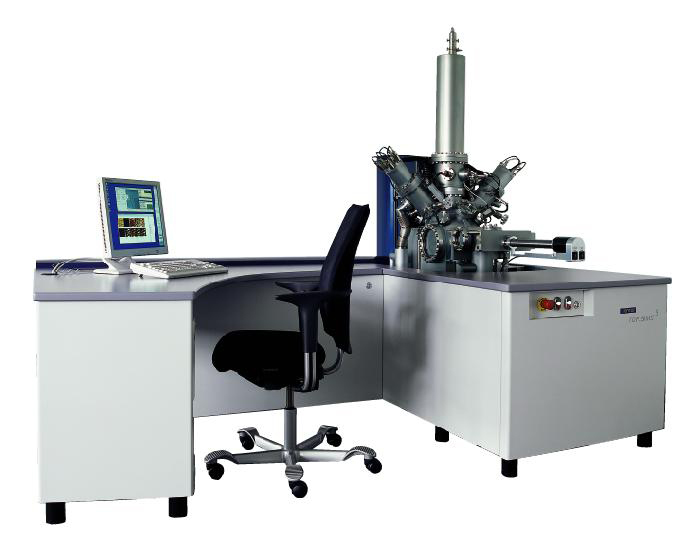 The basic instrument is equipped with a reflectron TOF analyser giving high secondary ion transmission with high mass resolution, a sample chamber with a 5-axis manipulator (x, y, z, rotation and tilt) for flexible navigation, a fast entry load-lock, charge compensation for the analysis of insulators, a secondary electron detector for SEM imaging, state of the art vacuum system, and an extensive computer package for automation and data handling. A variety of different options and accessories such as sample heating and cooling for analysis of volatiles, laser post ionization of neutrals etc. is available. Configurations including in-situ sample preparation chambers and sample transfer systems are also available. In particular ultra high vacuum combination with XPS, Auger and other instruments allows multi-technique analysis without exposure of the sample to air (see Customised Systems).